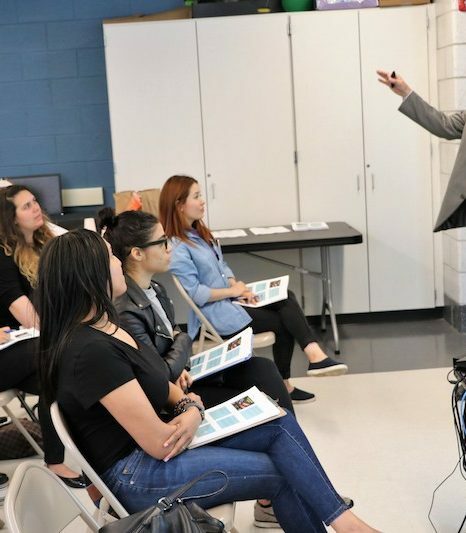 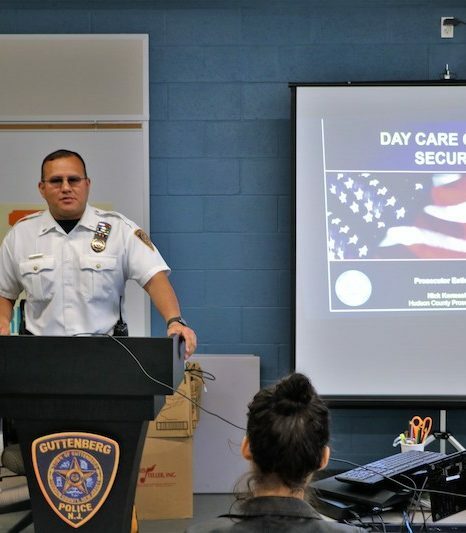 In response to a request from local day care center owners, the Guttenberg Police Department engaged the Hudson County Prosecutor’s Office to develop and deliver a seminar on emergency preparedness for day care centers. 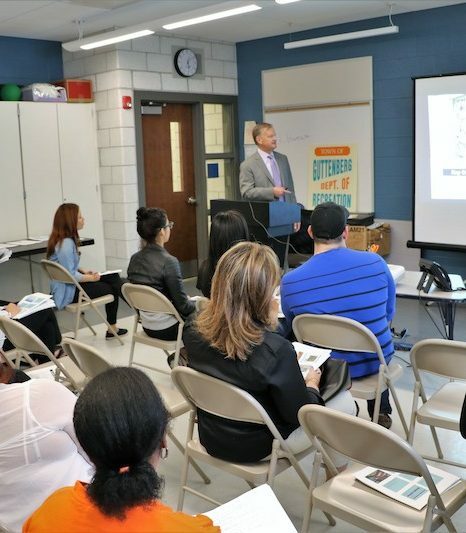 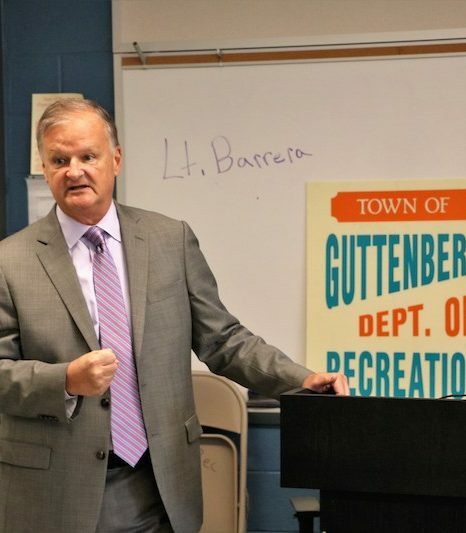 Guttenberg was the first municipality to request such a seminar, and on Monday, June 11 in the Anna L. Klein School, Risk Mitigation Planner Nicholas Kormash of the Hudson County Prosecutor’s Office presented an intensive overview of security issues and recommended procedures. 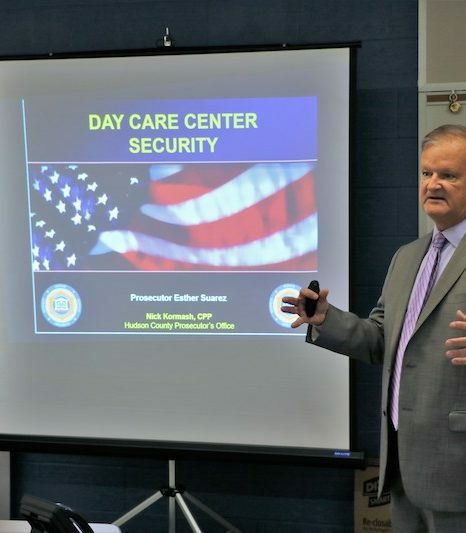 Kormash has offered similar presentations in the past specifically addressing school concerns, but this was the first time he had tailored the discussion to day care centers, which have unique issues due to differences in their administrative and architectural structures. 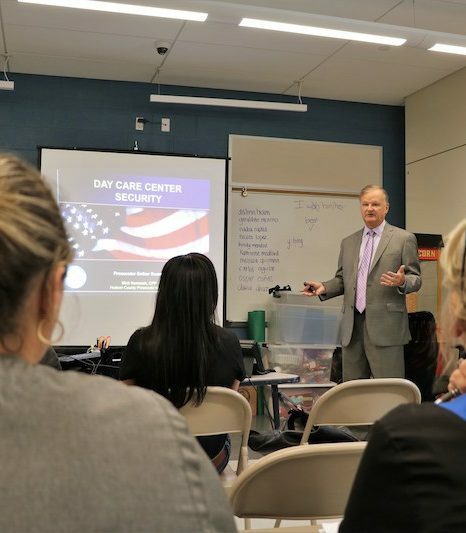 About a dozen day care owners and administrators attended the session, which included illustrations of how to create a “safe corner,” and the crucial difference between “lockdown” and “shelter in place.” (The former means the threat is inside the building, while the latter means the activity is outside and not necessarily an immediate danger.) 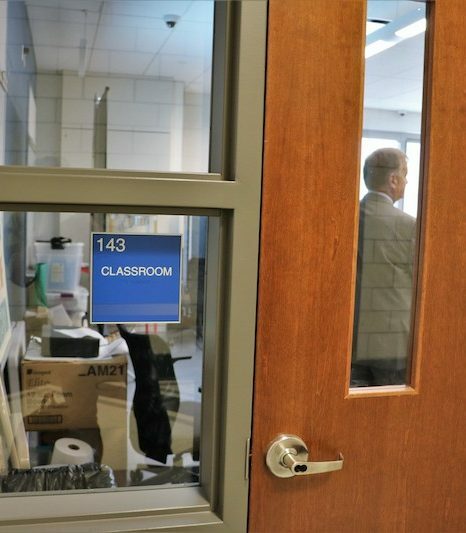 Phone recordings of 911 calls were played and photos of classrooms and security doors were displayed to illustrate best practices – and the opposite. 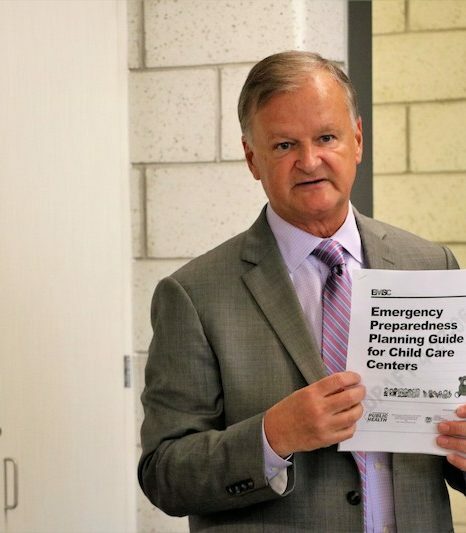 Kormash also distributed a selection of handouts with key information on important items like security cameras, lighting, and exterior doors, and provided a template document to help each facility draft their own emergency preparedness planning guide. 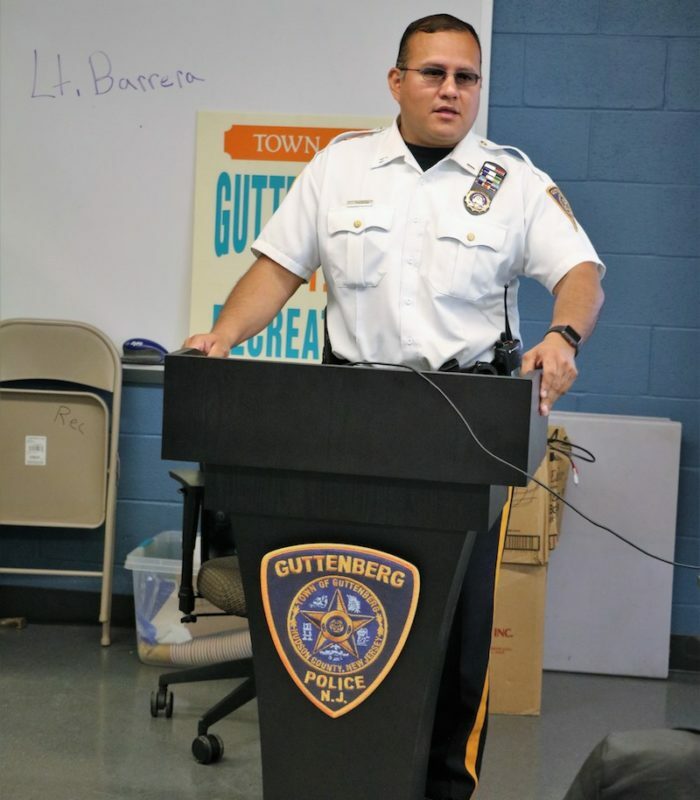 Guttenberg Police Lt. Juan Barrera introduced Kormash to kick off the highly informative presentation. 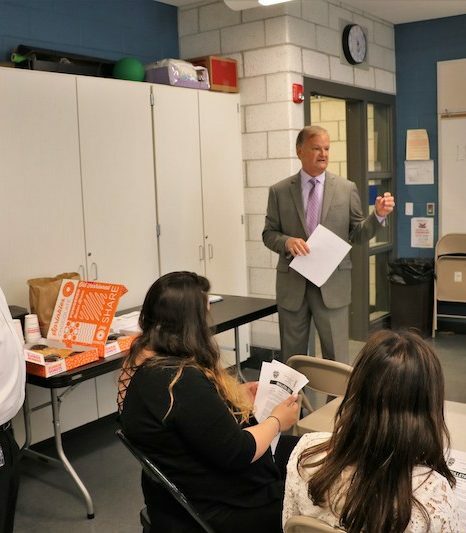 Also attending was Guttenberg Public Safety Director Joel Magenheimer.